In most of solutions you need to change your IP/Proxy to access youtube and they are very slow. That's why we have created a software named "Easy Youtube Unblocker" to watch any youtube video without changing your IP/Proxy at high speed. Easy Youtube Unblocker is free of cost and any kind of advertising, It's portable so you don't need to install it and even you can run this light weight software directly from USB or removable devices. Easy Youtube Unblocker is easy to use and has many advance functions to facilitate you. After execute Easy Youtube Unblocker you just need to copy a Youtube video URL and Easy Youtube Unblocker will autometically detect the URL of youtube you copied and will unblock it for you within a second. 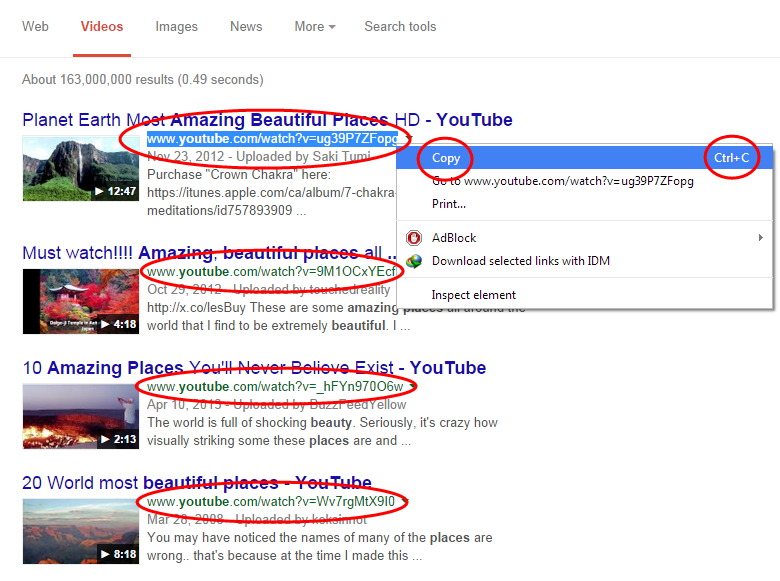 Search any youtube video by using google video search engine. Just Copy Youtube video address and software will autometically detect the youtube link you have just copied. Click at "Unblock This Video". Microsoft .NET Framework 2.0 or Higher.